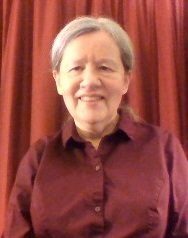 March 15, 2019 Jean M. Bradt, Ph.D.
7:30 AM Thursday, March 14, 2019 I woke up to huge clouds of secondhand cigarette smoke. It had seeped through cracks and under the door and permeated my entire apartment, more smoke than I had ever been exposed to before. I am severely hypersensitive to secondhand smoke. 8:00 AM I started doing my laundry. Back and forth I stumbled from the laundry room to my apartment. It was difficult. Because I’m hypersensitive to it, the smoke made me very dizzy and nauseous. And it was giving me a terrible headache and making it very difficult for me to formulate entire sentences correctly (a sign of possible stroke). 9:30 AM My neighbors found me on my living-room floor. I had passed out, dropping an armful of freshly dried laundry on the floor. I had fallen kind-of on top of it. When I woke up, several of my neighbors were standing over me, wondering what to do. My smartest neighbor did; she called 9-1-1. 10:00 AM The EMTs arrived. I was taken to one of the Mercy hospitals in Buffalo. That’s when I found out that nicotine can cause high blood pressure. My systolic blood pressure was 190. My ears were pounding, I was still dizzy, my neck was stiff and painful, and nothing I did would stop the headache. 10:30 AM A doctor visited me in my cubicle. He tried and tried to lower my blood pressure, but he couldn’t because I couldn’t take blood-pressure medicine. I’m hypersensitive to all medicines that can lower blood pressure except acetaminophen, but two acetaminophen tablets just didn’t seem to do the trick. At least I was tested for stroke, and I wasn’t having one. Whew! 3:30 PM Finally, my own body lowered my blood pressure to 188. Frustrated, the doctor discharged me quickly before my blood pressure would have a chance to rise again. I guess I’m so hypersensitive, it was all he could do. At home, thinking. I had just experienced a hypersensitive crisis (almost a stroke) caused by secondhand smoke. If I experience another one, I’ll probably actually stroke out. Possibly, I’ll die. I must move out and live in an inexpensive place that’s guaranteed smoke free. Can you or anyone help me find such a place in western New York State? Anyone? Will you either post a comment here or email me at cassjmb10@att.net? This entry was posted in Hypersensitivities For Dummies. Bookmark the permalink. Hypersensitivity Triggers and Reactions: What’s the Difference? Hypersensitivity Reactions and Autoimmune Diseases: What’s the Difference? Hypersensitivities vs. Allergies: What’s the Confusion?